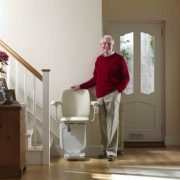 The Sadler is a classic model that is reliable, easy to use and specially designed to go round bends and navigate complex staircases. 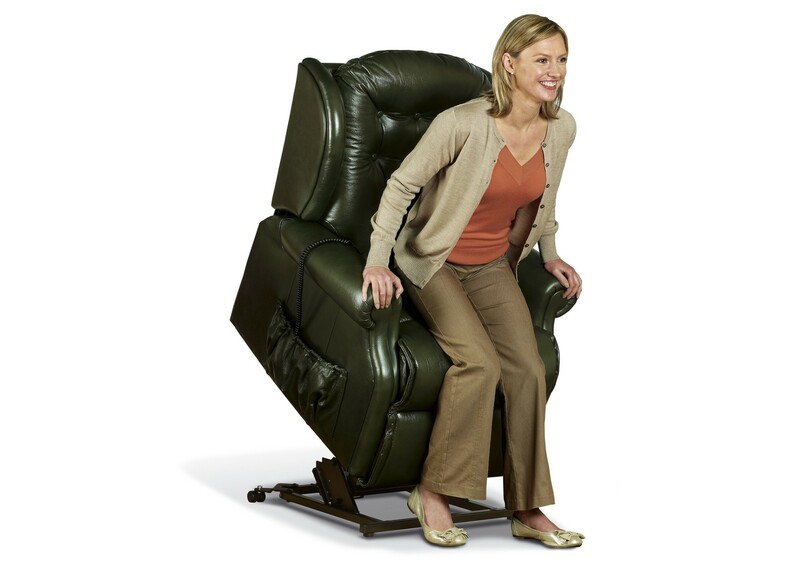 The Sadler’s innovative saddle-style seat lowers and raises with the user and together with its elevated position makes entry and exit easier and more convenient. 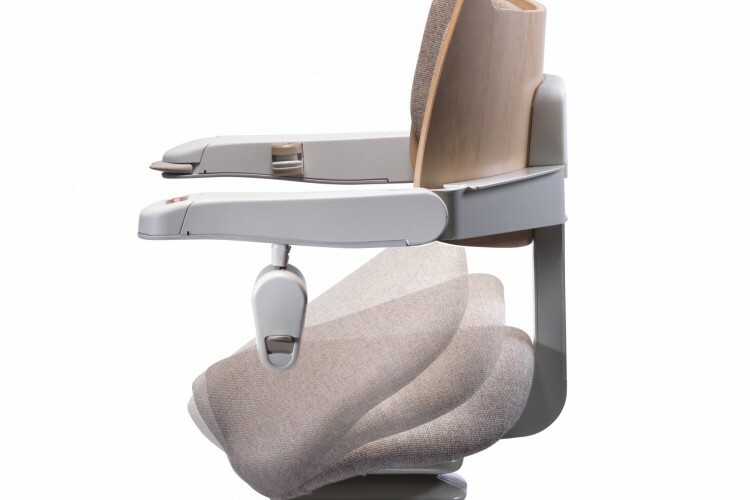 Unlike a traditional perch the seat takes the user’s weight rather than their legs making the ride more comfortable. 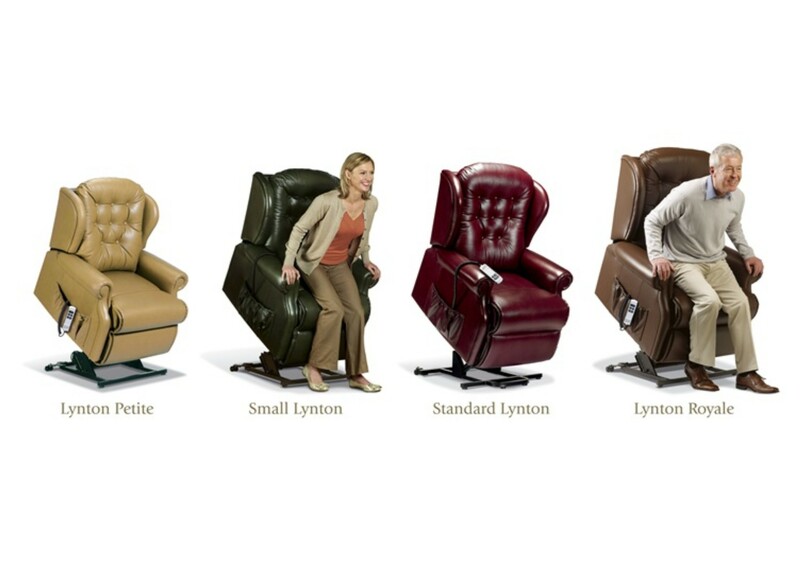 Folding the arms will automatically fold the footrest, ensuring users do not have to bend to fold their stairlift at the top or bottom of the stairs. 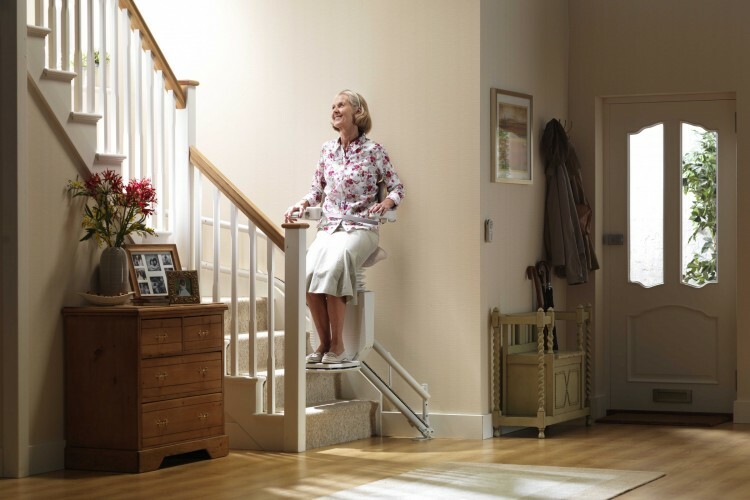 Sensors automatically detect any obstruction on your stairs, bringing your Sadler to an immediate stop. 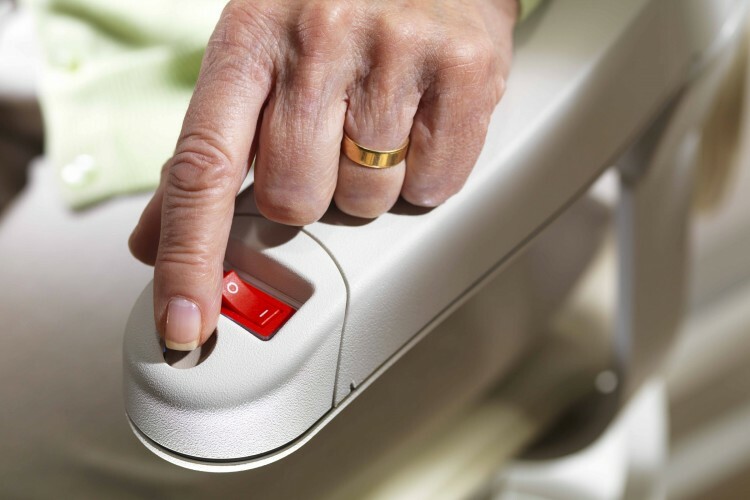 Your retractable, secure seatbelt fastens with one hand, so it is easy on arthritic hands. 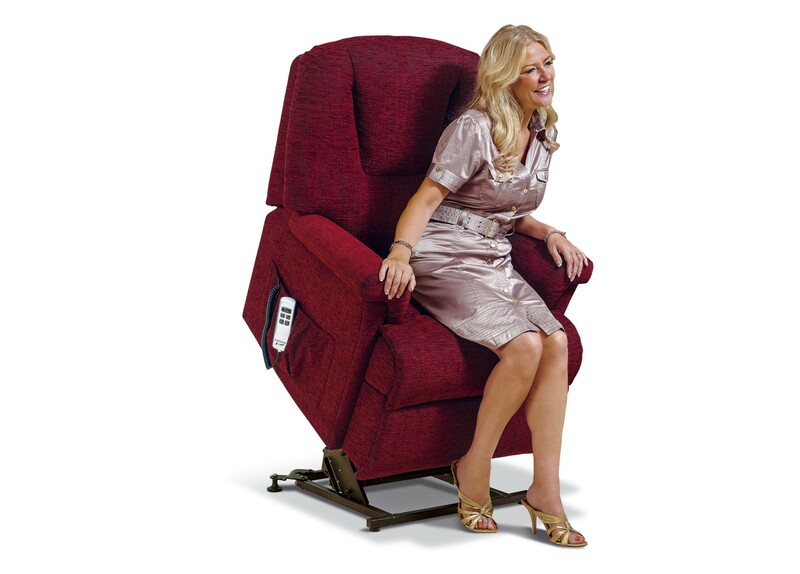 The stairlift will not operate unless your seatbelt is fastened. 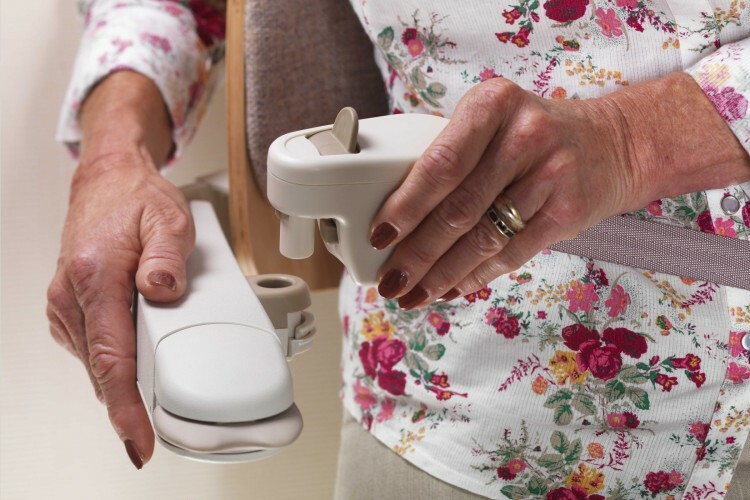 Our simple, intuitive controls have been designed to suit all, and are ideal for those with limited dexterity. Removable key to keep the stairlift safe from children. 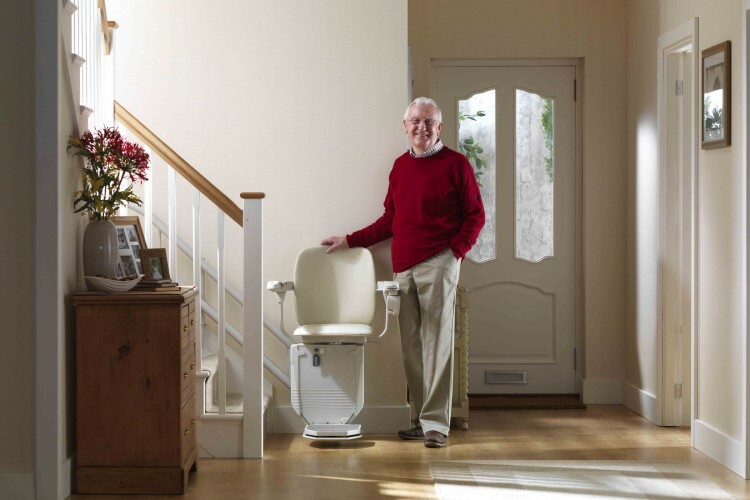 Battery powered motor that means your stairlift will continue to work even in a power cut. 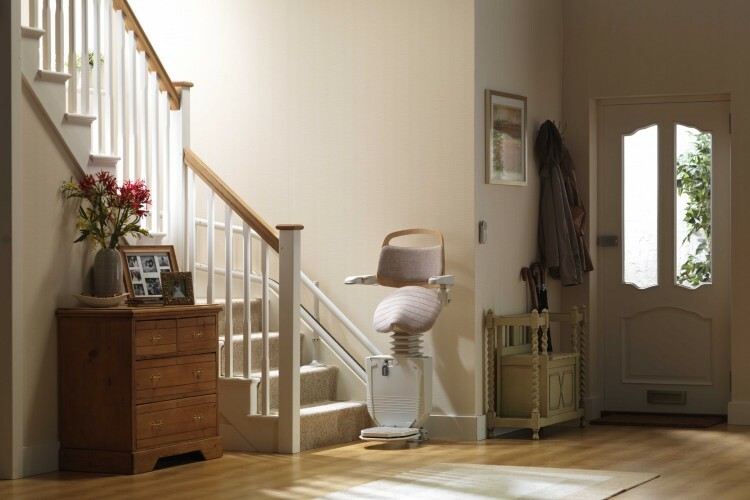 Slimline curved rail that leaves ample room for you and others to use your stairs safely and easily. 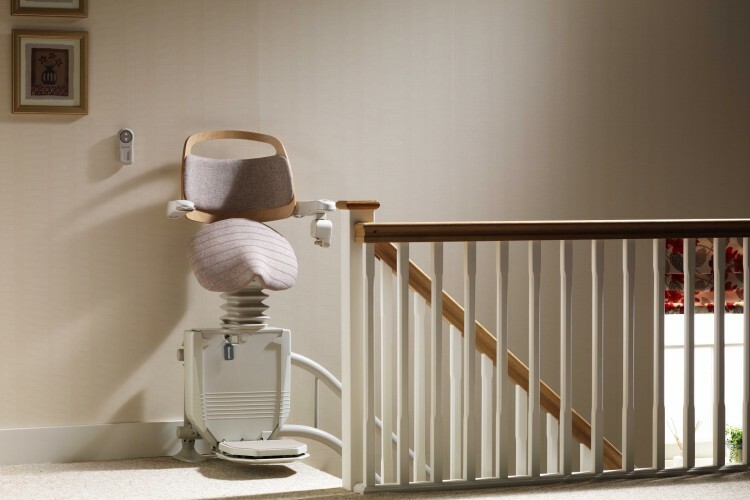 Wall controls allow you to summon your stairlift from another floor, or perhaps send it up or down to someone else who wants to use it. 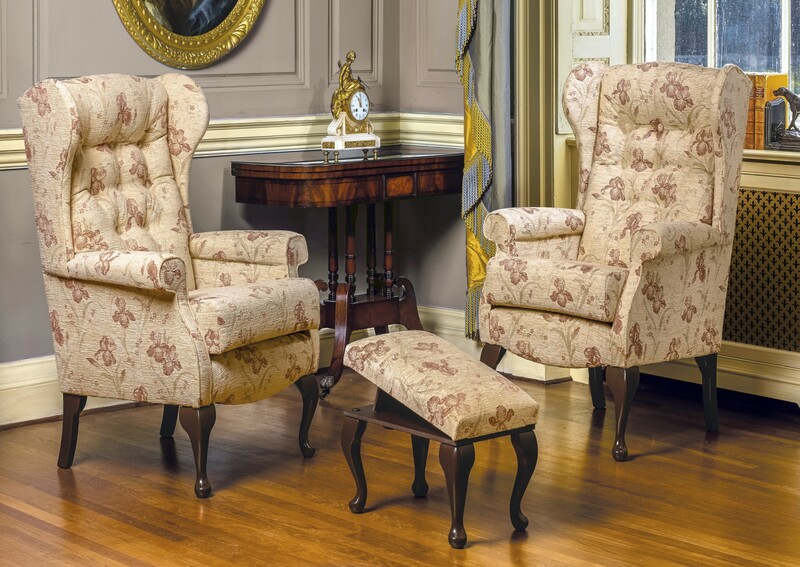 The Sadler comes in stone woven upholstery with a light wood trim.